I am obsessed with the simple white shirt. It is just so chic. I purchase a new tuxedo style shirt every season. A white cotton shirt is crisp, clean and sophisticated. It provides instant polish whether worn on its own or under a suit or sweater. For autumn it is taking center stage once again as designers explore collars, cuffs and a buttoned-up secretarial silhouette. It’s the ultimate all-season wardrobe essential. A white shirt will always be in style! 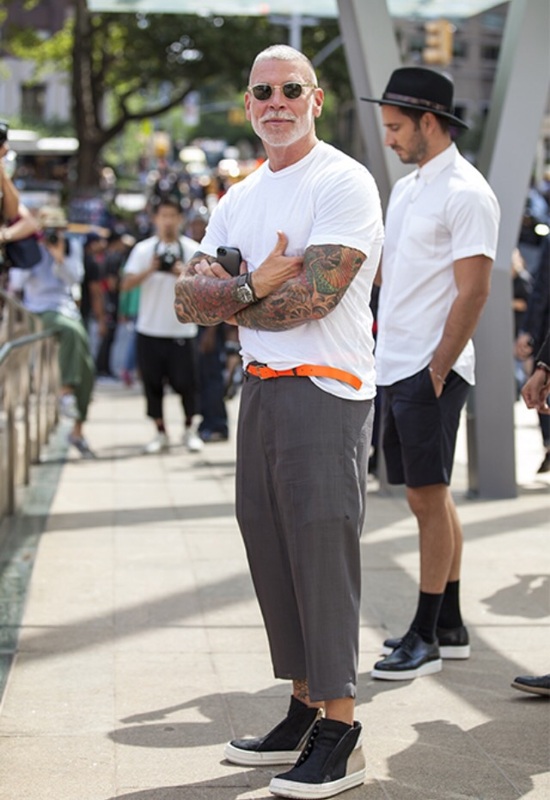 If you tend to move in the direction of a conservative/casual style, pull out your classic white shirt this week. It will work just as well with your favorite jeans. Or for the ladies try a playful A-line skirt, which allows you the freedom to be bold with accessories. For the unconventional ladies and gentlemen, mix and match your textures this autumn by pairing a fine knit worn over a white shirt, leaving only the crisp white collar peeping over the top. Or for the fellas add a crisp white shirt to any suit. This is a great weekend look, and layers are perfect for transitioning from warm summer days into autumn’s chill. Have fun and play with proportions by styling a menswear version of this classic with a shrunken waistcoat and ankle-high sport socks. A bright jewel colored suit is a fabulous way of working two trends simultaneously. By teaming a simple white shirt it allows the suit to do all the talking. Try adding a white element (classic white shirt) when color blocking, to compliment the array of colors. If your whole MO is more black-on-black-on-black, there are many, ways to make a great black outfit stand out, so start experimenting. While there's no "right" way to wear black, styling a white oxford underneath is going to feel like a whole new world to you. The idea of waiting until Memorial Day to wear all white seems like an eye roll of a fashion rule. There is still something to be said about the head-to-toe white on white look that feels highly appropriate. When it comes to evening style staples, a classic button down doesn't exactly top the list. True, they tend to come in handy on days that call for polished or preppy. 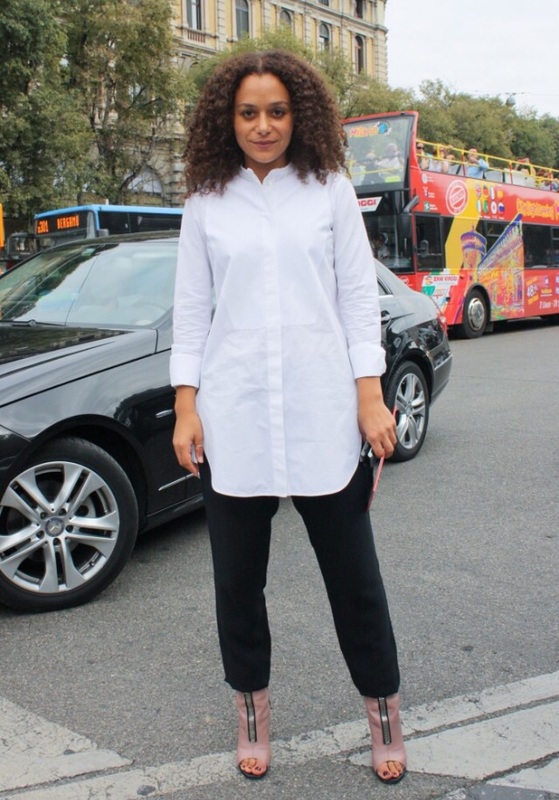 Perhaps, though, we've underestimated this not-so-basic basic classic white shirt. 1. No matter what your size, ensuring the right fit and proportion is key to looking your best. The most important things to consider are how a shirt fits over your bust and on your shoulders. 2. For my well endowed ladies, You want the shirt to fit closely, but not so closely that it clings to your sides or gaps between the buttons. One option is to purchase a shirt one size bigger that fits in the bust and have the waist altered by your favorite seamstress. 3. White is prone to stains; it can end up looking a bit bland. While on the go Tide To Go stain remover is your best friend. To keep all my whites looking like fresh falling snow my staple will always be Tide with Bleach.....powder not liquid! 4. Bright white doesn't flatter everyone. 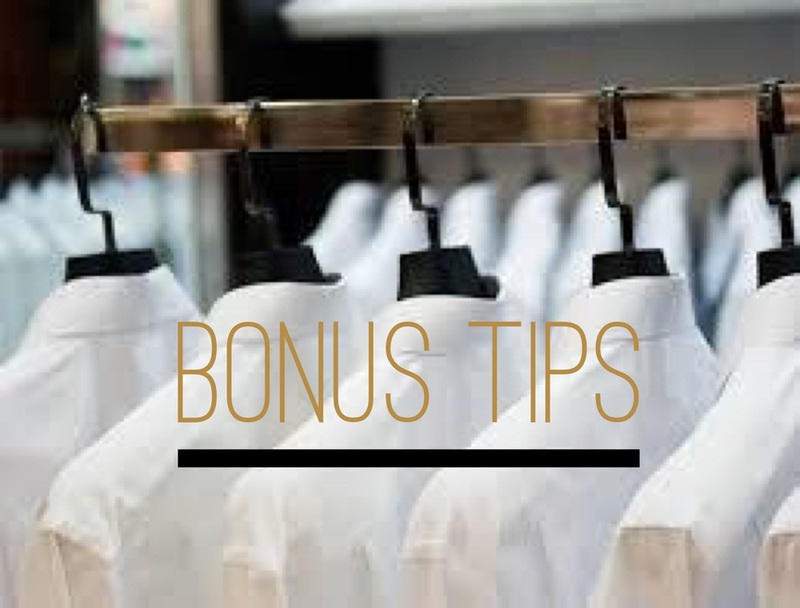 Your "white" shirt can be soft white, ivory, or even a pale pastel (such as mint or blush). What ever color makes you light up, go for it. 5. When you are not prone to spend $$$ on higher end clothing a crisp white button down adds a sophistication to a thrifted suit or a dramatic skirt you found on clearance. You will be fashionable for any black tie event ie charitable gala, red carpet, etc. Rules were made to be broken, and if you're going to "live on the edge" and wear white after Labor Day, why not go all out? As if you needed another reason why this fashion essential belongs in your closet!